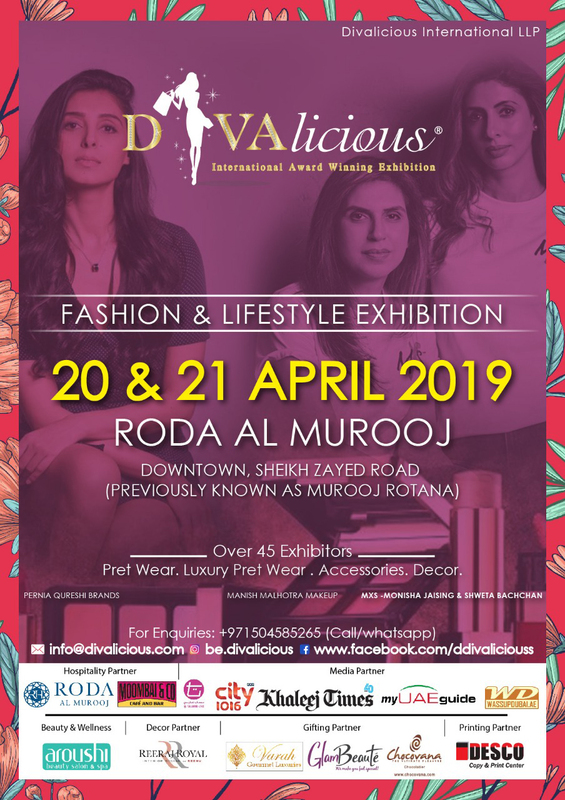 DIVAlicious Dubai is back for its Luxe Pret Fashion event with 45 exhibitors at our 2 day fiesta with luxury pret, accessories, decor & more on Saturay 20th April & Sunday 21st April 2019 at Roda Al Murooj (Downtown Dubai). Also shop exclusively from Pernia Qureshi Brands, MXS by Monisha Jaising & Shweta Bachani), Manish Malhotra Make Up by MyGlamm only at DIVAlicious Dubai. Free Entry for all. For enquiries call / WhatsApp on +971 50 485 52 65.